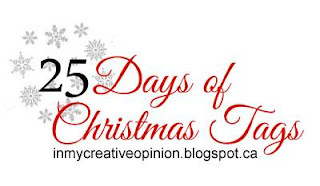 My Cluttered Corner: 25 Days of Christmas Tags! 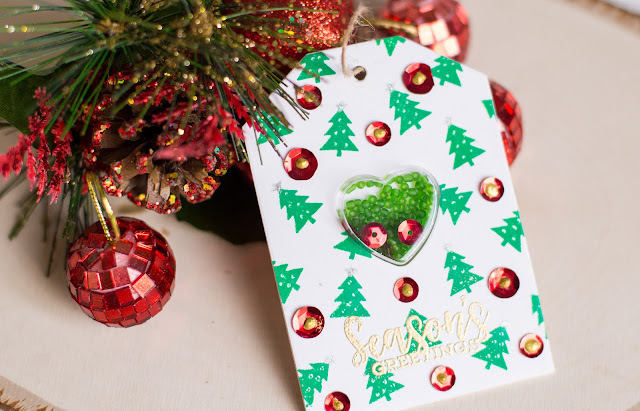 I am so excited to be taking part in this year's 25 Days of Christmas Tags! 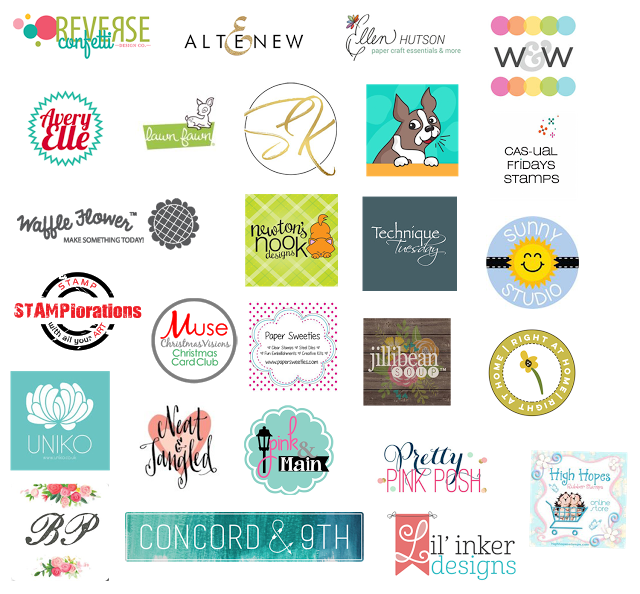 Have you seen all the sponsors that Tracey has this year?! AMAZING, right??? Check out all the details on Tracey's blog HERE. 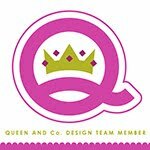 My tag is part of the Jillibean Soup group so of course I had to create a Shaped Shaker Tag! 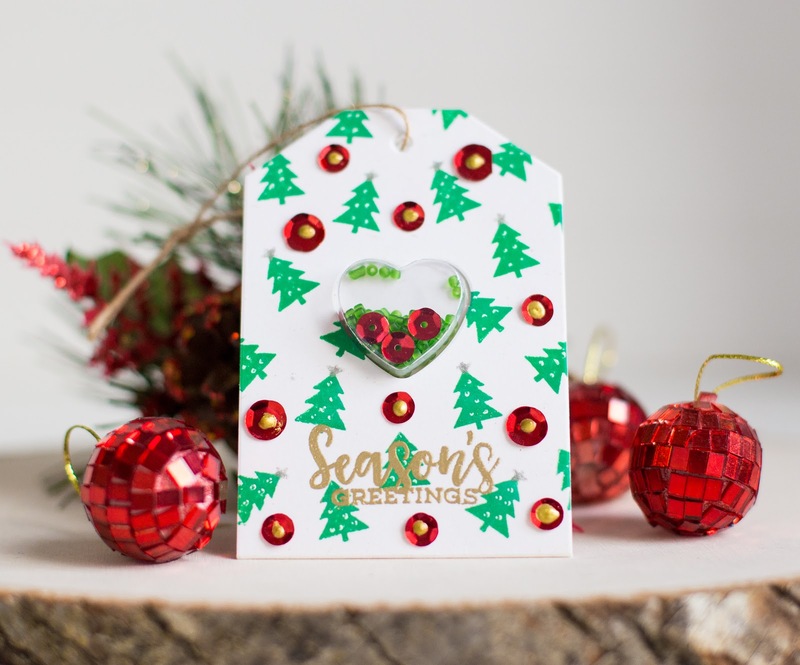 For the mini trees and sentiment I used last year's Jillibean Soup Snowglobe stamp set. There are lots of cute images in there for building a snowglobe scene so I used the mini trees to build a background. I stamped the trees with Distress Oxide Lucky ink and once dry added white dots from a gel pen and tiny stars on top with a silver glitter gel pen. I gold heat embossed the sentiment and added some red Jillibean Soup sequins to the background with tiny drops of Tonic Studios Nuvo Crystal Drops on top. All of the products I used will be linked down below! I hope you will play along and make a tag! Be sure to leave me a comment down below too! There are so many awesome prizes up for grabs! Good luck! What a cute little tag. So cute with the trees and the sequins. I absolutely LOVE your sweet tag, Rebecca. I just recently ordered these same tags, so I want to try your shaker idea. I have all the goodies, just needed the inspiration...so thank you! Thank you so much! The shaker tags are so much fun! Enjoy making yours! Such a cheerful tag! I like how you used tha Nuvo drops on the sequins. Your tag is just awesome !! Thank you! I love that little stamp set! Very fun and festive. That little shaker heart is adorable. I love your shaker tag Rebecca! It inspired my day 17 tag; although I didn't make a shaker card. What inspired me was the heart in the middle of yours. Thank you so much for sharing adorable creation! Love the little heart shaker. I love your Christmas tree tag! I chose it as my inspiration for my tag! I made a shaped card and used your same color combination! Thanks for sharing!